Leading design consultancy TEAGUE have teamed up with NIKE and released concepts for the perfect private jet to transfer high profile sports teams. 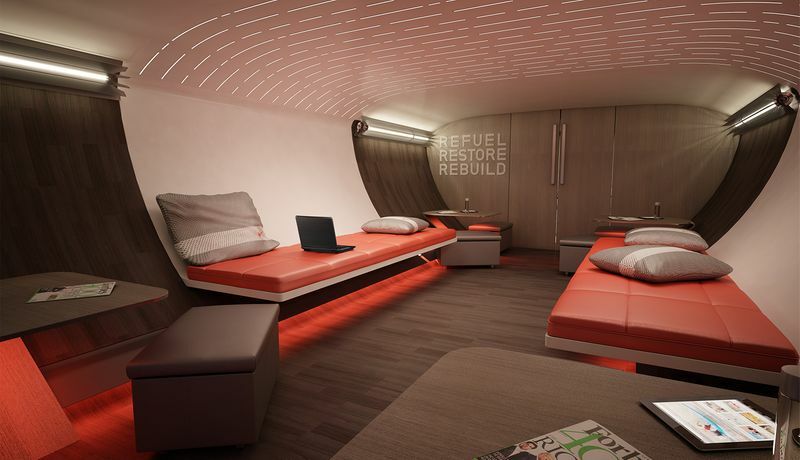 The collaboration has resulted in a breath-taking, technology fueled and futuristic jet interior that would provide professional athletes with the ultimate space with which to rest and refuel. The concepts allow for an amazing amount of space to be achieved on board, with designated zones to recover, promote circulation, sleep and mentally prepare, all dedicated to providing athletes with the all important competitive edge. TEAGUE are a full service design and innovation consultancy who have been developing airline interiors for decades, working on every commercial Boeing interior every produced, including the 787 Dreamliner. You have to admit, the TEAGUE and Nike collaboration has produced something special.